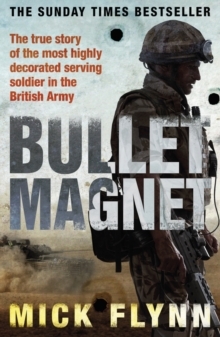 A raw, honest and evocative account of life as the most highly decorated serving soldier in the British Army. From the breakneck pace of an opening where he is in action in Helmand province, under fire from the Taliban, Mick Flynn pulls no punches. It's obvious that he is a trained killer. But how did it reach this point? The journey starts with his childhood, a working class lad, learning to fight and finding himself repeatedly on the wrong side of the law. 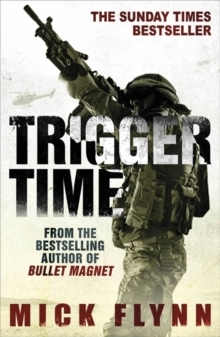 Even after joining the Army he is found at fault and jailed, an experience that finally shocks him into behaving himself. From there, it is off to Northern Ireland and straight into hotspots where Mick's courage and determination are all that keep him alive. There's love too: his estranged wife, Denise, is being brought back into the picture, just as Mick tries to start a new life with his girlfriend Rachel. Can he manage to separate his ferocious soldiering persona from the real Mick? As things remain complicated, Mike flings himself into further tours of duty, in Bosnia, Iraq, the Falklands. Action-packed, shoots-from-the-hip narration from an engaging hero, this is gritty realism at its most shocking.